Tax Planning and Tax Saving exercise should be done prudently at the starting of the year. We are only a few days away from the end of the Financial year 2017-18. Hopefully, you must have completed tax planning task and submitted proof of tax saving to your employer. However, if you have not completed this exercise you have barely few days left to complete this task. In order to help you here is Tax Saving & Tax Planning guide for the last minute tax planner and savers. 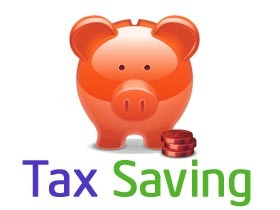 In this post, I will share Few Best Last-minute Tax Saving Options. Apart from that, I will also share with you important financial tasks to be done before March End. Equity Linked Saving Scheme (ELSS) is Best Tax Saving Option. ELSS is equity-based mutual fund. Few important features of ELSS are given below. You can invest in ELSS and claim tax exemption up to 1.5 Lakh under 80 C.
ELSS comes with a lock-in period of 3 years. It is minimum compared to any other tax saving options. As ELSS is linked with the market possibility of return is high. Investment in ELSS is very easy and you can even opt for SIP option. You have an option to select between growth and dividend option. LTCG is applicable to maturity amount. However, due to higher return ELSS is still recommended options for investment. Health Insurance is another best last-minute tax saving option. If you have already purchased health insurance you can think of increasing coverage by purchasing Top-Up or Super-Top up plan. Few important features of health insurance are given below. Health insurance provides you coverage against medical expenses. Premium paid for health insurance policy is exempted from tax. You can avail deduction up to Rs.25000 and Rs.30000 for parents (Senior Citizen) under section 80D. You can get an additional benefit of Rs.5000 for annual health checkup expense. Make sure you make payment via cheque, demand draft or online banking. Tax exemption is not given for Cash premium payment. If you are underinsured or if you have not purchased an insurance policy, a term plan is best tax saving option for you. Term plan provides financial security for your family. Few key features of Term plan are given below. Term insurance provides higher risk coverage at lower cost. The premium paid towards term plan is exempted up to 1.5 Lakh under 80C. Term Insurance policies are renewable and you can also avail additional rider facilities. You can purchase term plan online or offline. Online term plan cost you less money. After going through best tax saving options let’s take a look at important year-end Income Tax Tasks. You must be aware that from 1st April 2018 LTCG is applicable on shares and mutual funds. You need to pay 10% of the amount exceeding 1 Lakh as LTCG. If you are holding a big portfolio and worried about LTCG you should book profit before year-end to save LTCG. If you are salaried next important financial task for you is submitting tax saving proof to your employer before year end. If you failed to submit this proof, an employer shall deduct TDS from your salary. At a later stage, you need to go through the pain of claiming a refund from income tax. You should download Form 26AS and verify TDS deducted by an employer. In addition to that, you should verify income mentioned in 26AS. In case of any discrepancy, you can contact your employer. You may be aware that last date of filing a belated return is 31st March 2018. You will not able to file old returns of the financial year 2015-16 and 2016-17 after that. If you have not filed old income tax return you should complete this task before year end. If you have not paid advance tax before 15th March 2018, you should pay it before 31st March 2018. If you failed to pay advance tax you need to pay interest. If you are living in a rented house or if you have rented office and paying a monthly rent of Rs.50000 or above you have to deduct TDS on total rent paid at the rate of 5%. TDS deducted from rent payment should be deposited with the government before 31st March 2018. Next year-end financial task is to complete tax saving exercise. If you have not exhausted your 80C limit or not used section 80D for saving additional tax you should complete this task before 31st March 2018. Next year onwards LTCG is applicable to the equity and mutual funds. You need to remember the price of your stock or Mutual fund NAV as on 31st Jan 2018 for computation of LTCG. You can either note down all these values in excel or you can sign up portfolio tracker providing such services. You should review your portfolio and make changes as appropriate. In addition to that if you think you are underinsured or your requirement is changed you should plan to buy an additional term plan. You should also assess your financial goal and make changes as appropriate. Last financial task for you is to prepare a plan for your bonus. Firs task is to reduce or repay debt. Secondly, check if your medical and life insurance need is fulfilled or not. If not use part of the bonus. For remaining bonus use it either to fulfill your financial goal or keep as emergency fund.